With plans to give the historic rocket its own place on display inside the company’s Hawthorne factory, SpaceX has refurbished the last remaining Falcon 1 rocket booster and an old Merlin 1C engine to create a model representative of the same Falcon 1 that saved SpaceX and made history on September 28th, 2008, becoming the first privately-developed liquid-fuel rocket to reach Earth orbit. 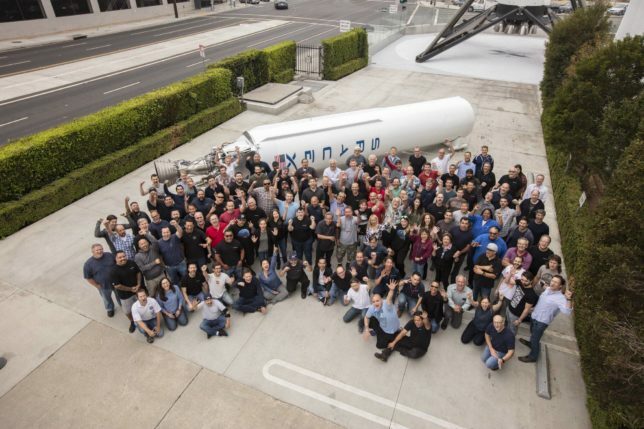 In the process of celebrating the tenth anniversary of that crowning achievement, one is reminded just how meteoric SpaceX’s rise has been over the course of that decade, marked by relentless progress with Falcon 1, Falcon 9, Falcon Heavy, Cargo Dragon, Crew Dragon, and even the early phases of BFR construction. 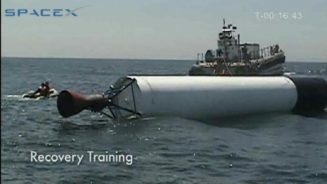 On that September afternoon ten years ago, SpaceX may well have saved itself from extinction. 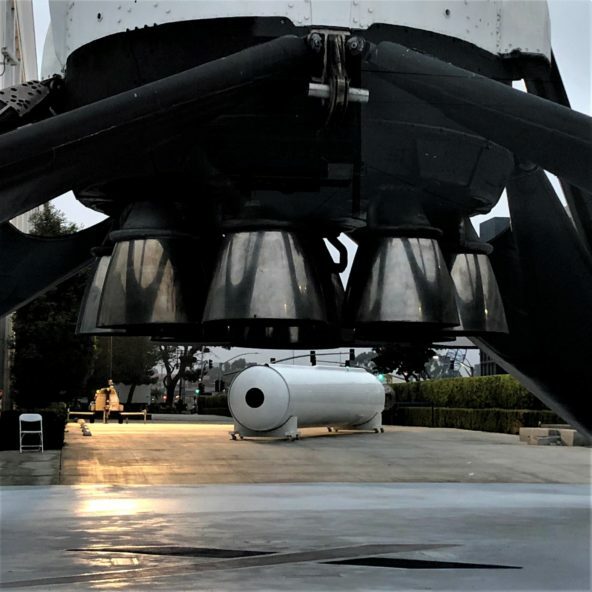 Running on funding fumes, CEO and founder Elon Musk has long held that the company would have been forced to effectively cease activity and disband after six years of work and three consecutive Falcon 1 failures had drained almost all of the $100 million he had dedicated in 2002. Reaching orbit is undoubtedly one of the most technologically challenging feats there is and SpaceX’s merciless failures drove that reality home, ranging from a burst propellant line on the first stage Merlin, liquid propellant sloshing problems on the second stage, and overperformance on the first stage engine causing the two stages to impact after separation, among myriad other problems faced outside of actual launch attempts. Thankfully, thanks to the extraordinary group of several hundred early employees that fixed those problems and pushed onwards, Falcon 1’s fourth attempt was almost flawless and successfully placed a boilerplate mass simulator into a roughly circular ~650km orbit. 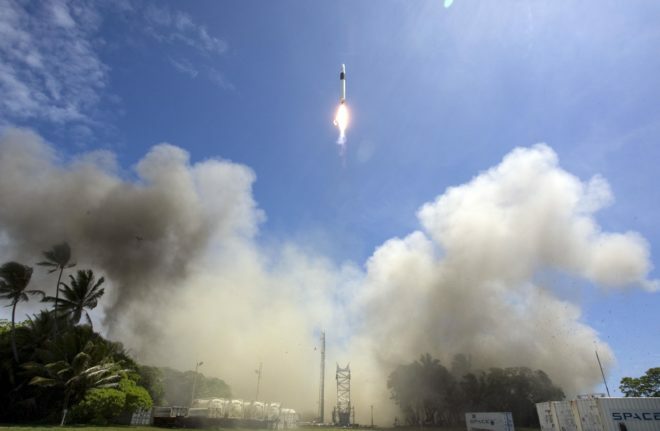 A bit more than nine months later, SpaceX completed the first and last operational launch of Falcon 1, retired to allow the company to focus fully on Falcon 5 (cancelled a few years later), Falcon 9, and Cargo Dragon. 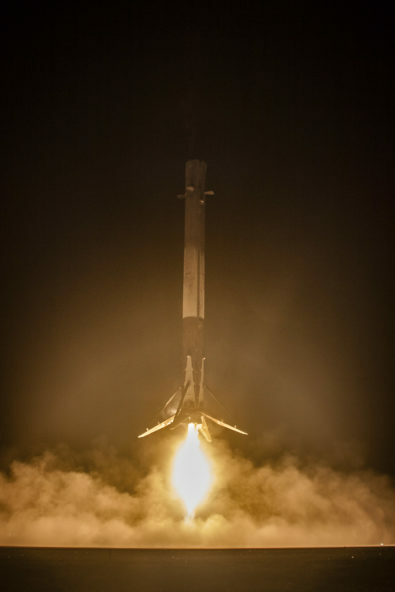 Eleven months after that July 2009 mission, SpaceX successfully launched Falcon 9 for the first time and followed it up with the first launch of a functioning Cargo Dragon spacecraft, which spent several hours testing systems in orbit before reentering Earth’s atmosphere and landing in the Pacific Ocean. Two years later in 2012, SpaceX’s Cargo Dragon became the first commercial spacecraft in history to dock with the International Space Station, with operational NASA Commercial Resupply Services launches beginning just six months after. With three years and five successful launches under its belt, Falcon 9 v1.0 was retired and made way for the first of many upgraded Falcon 9 variants, known as Falcon 9 v1.1, featuring 60% greater thrust and mass at liftoff, a new octaweb layout for its nine new Merlin 1D engines, and a range of structural changes that set the stage for future attempts at booster recovery. 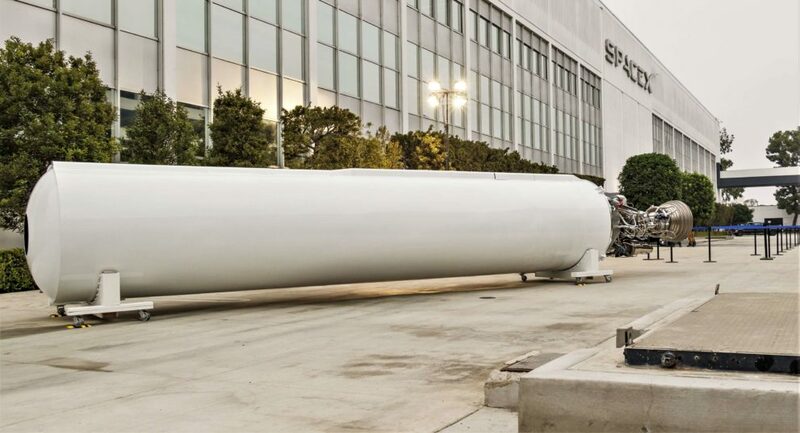 Two and a half years after Falcon 9 v1.1’s debut and a little over five years since the first successful launch of Falcon 1, SpaceX accomplished the first successful landing of a Falcon 9’s first stage, and that booster now stands proudly outside of the company’s Hawthorne, CA headquarters. 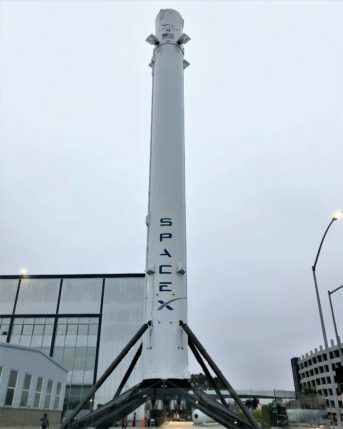 To mark that 10th anniversary, SpaceX apparently decided to salvage a mothballed Falcon 1 stored in a junkyard, refurbishing it into something closer to its former self. 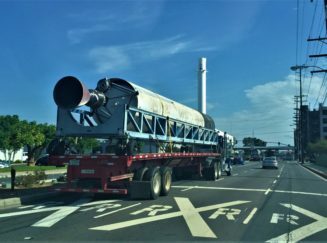 Although just the first stage and a Merlin 1C engine were present, the company stationed the refurbished Falcon 1 in front the first recovered Falcon 9 booster and gave all employees an opportunity to see the duo over the course of September 28th. The sheer size differential is undeniably impressive. However, a more gobsmacking statistic can be found still. Falcon 1 stands roughly 22 meters tall and would weigh around 39,000 kilograms with a full load of liquid oxygen and kerosene. While the Falcon family’s current payload fairing isn’t nearly tall enough to squeeze in a full Falcon 1 first stage, Falcon Heavy could easily place a fully-loaded Falcon 1 into Low Earth Orbit and still recovery all three of its first stage boosters. 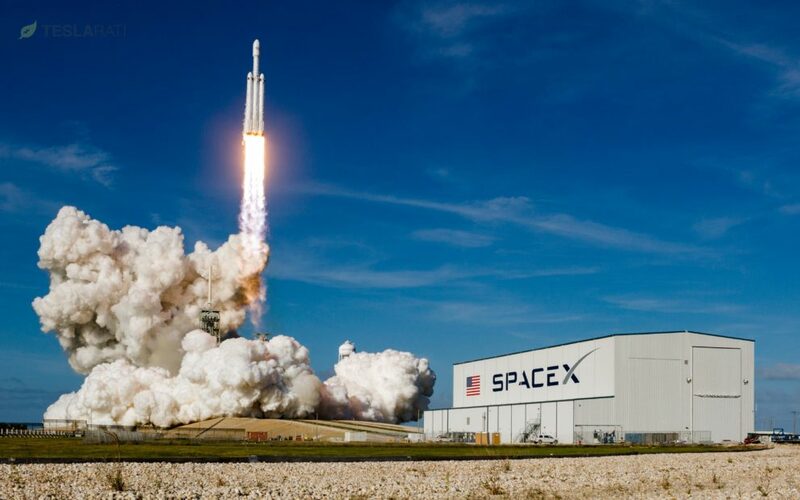 In other words, SpaceX went from launching the first commercial liquid-fuel rocket to reach orbit to launching a super-heavy rocket that could put that entire first rocket into orbit in less than ten years. Not too shabby.